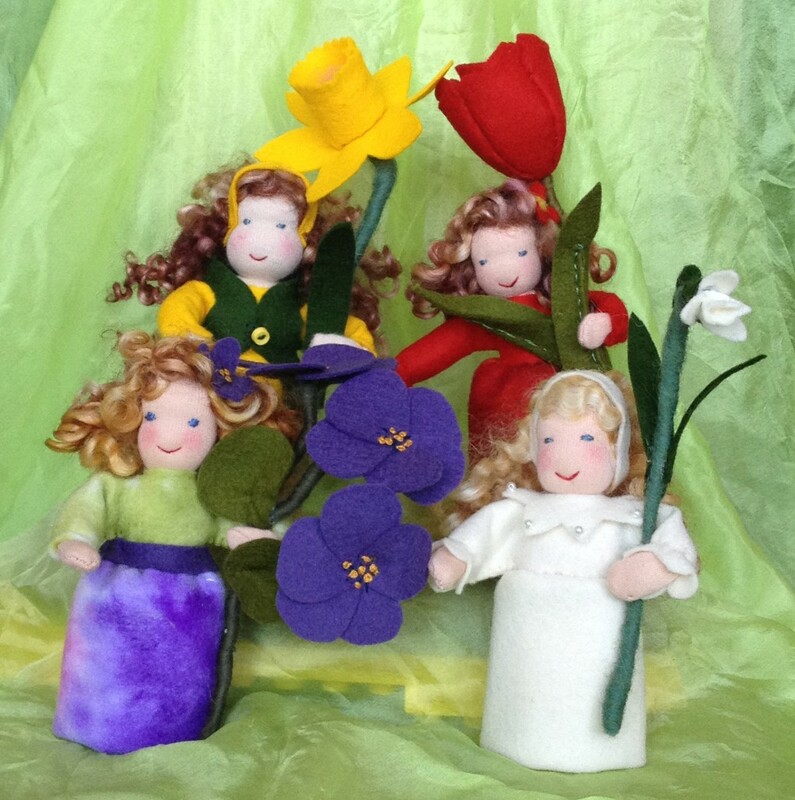 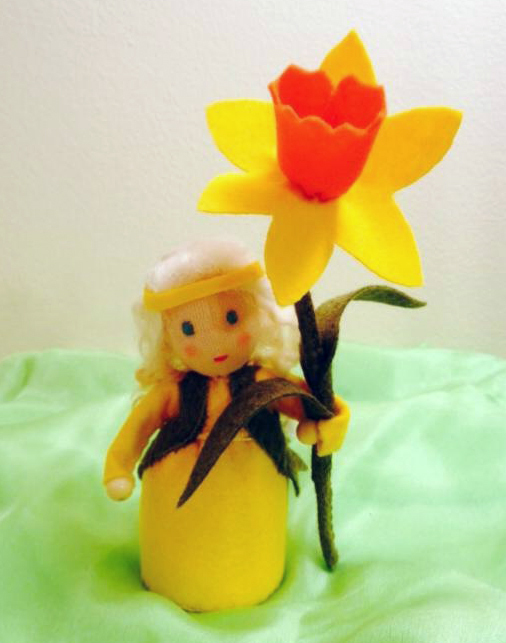 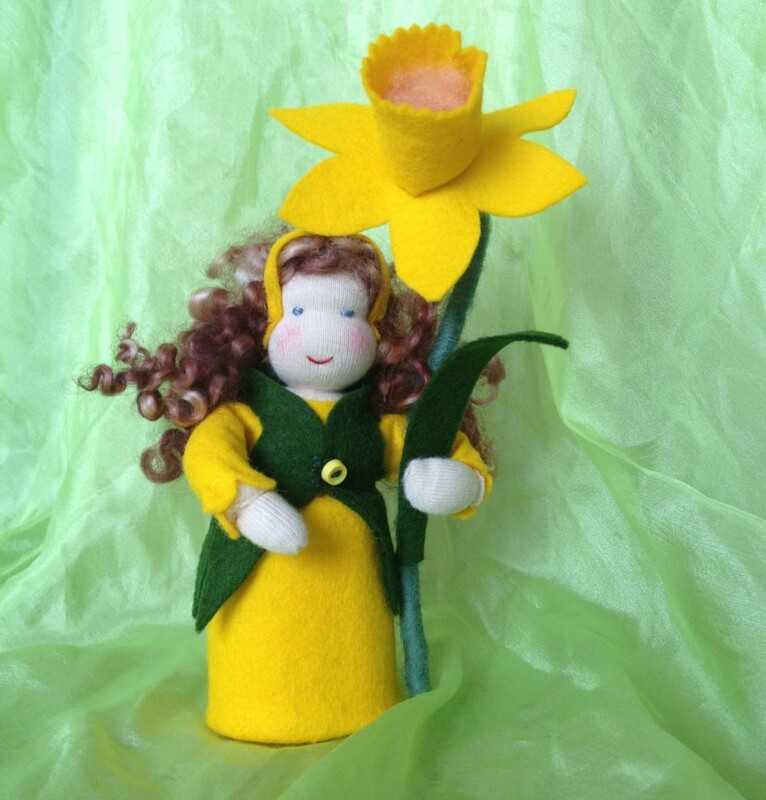 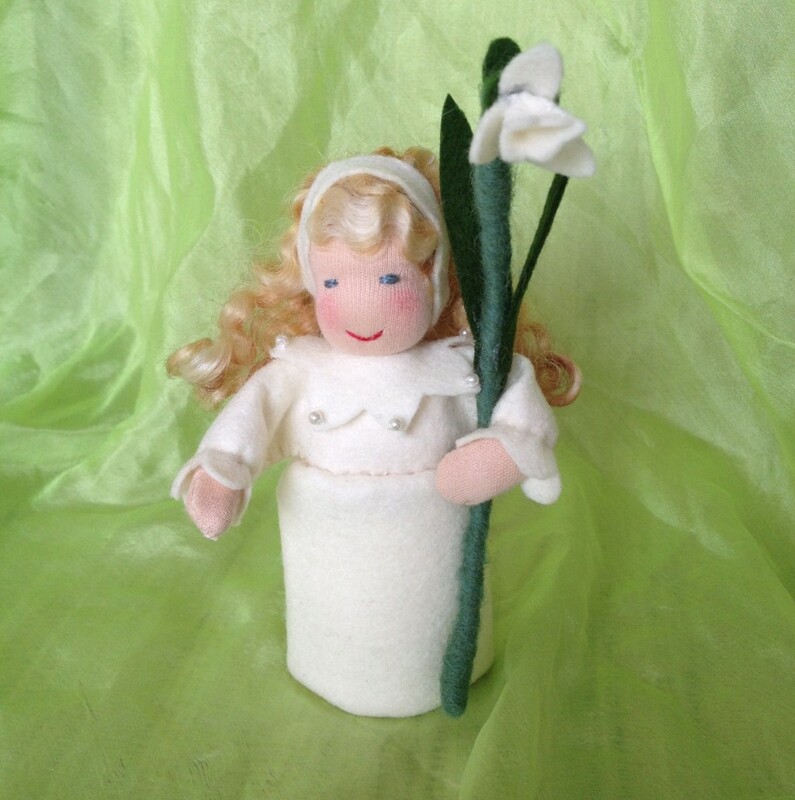 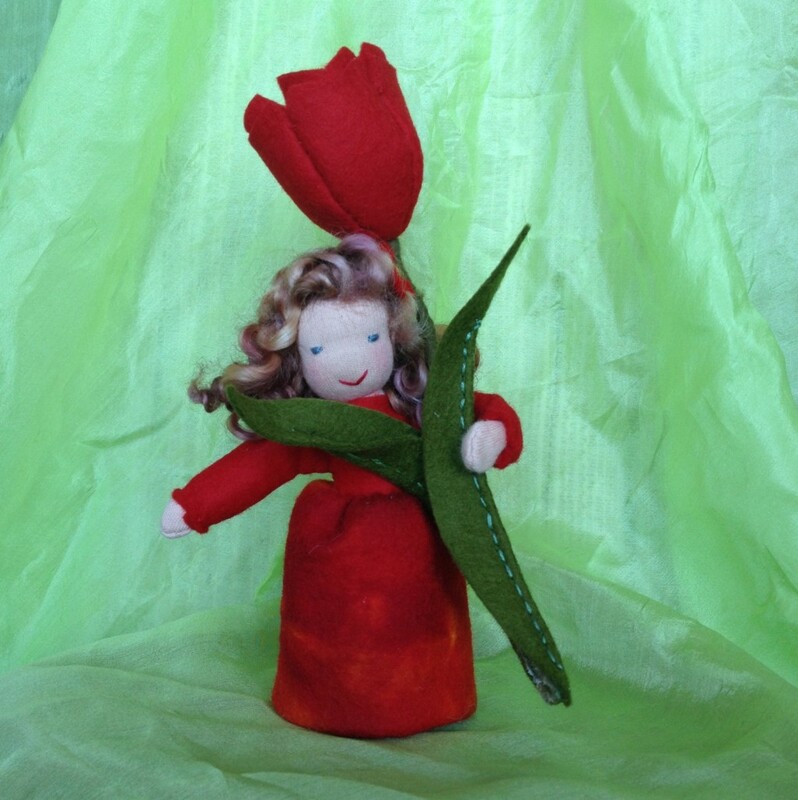 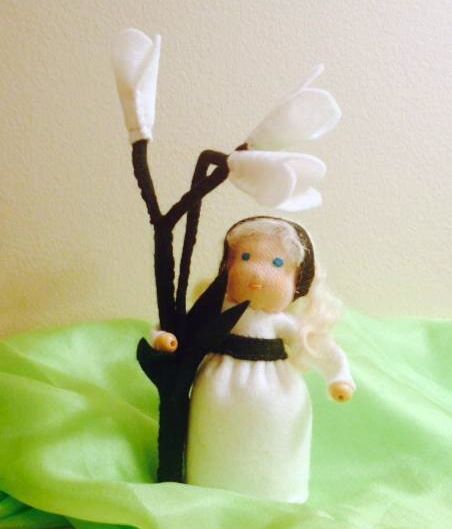 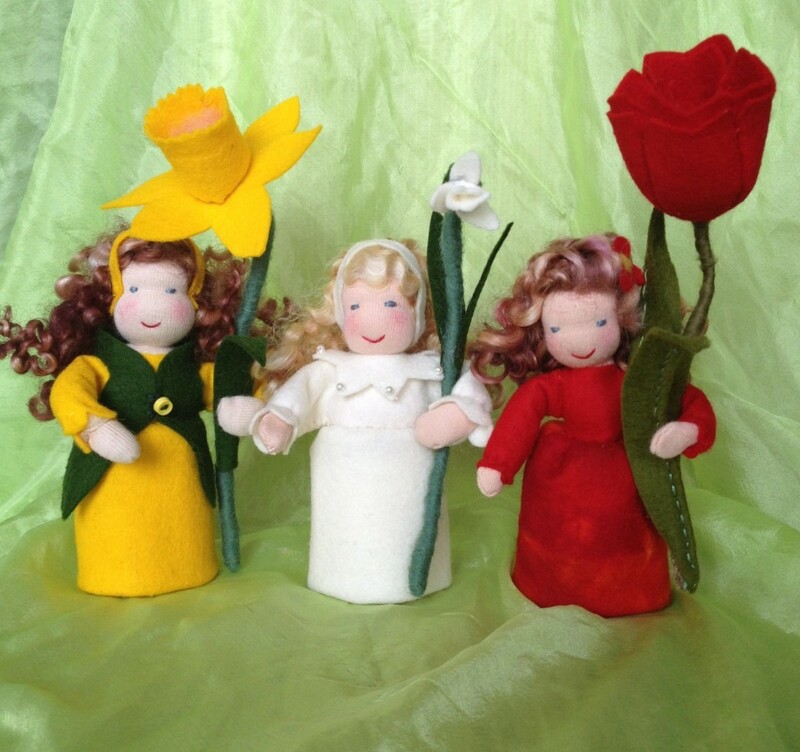 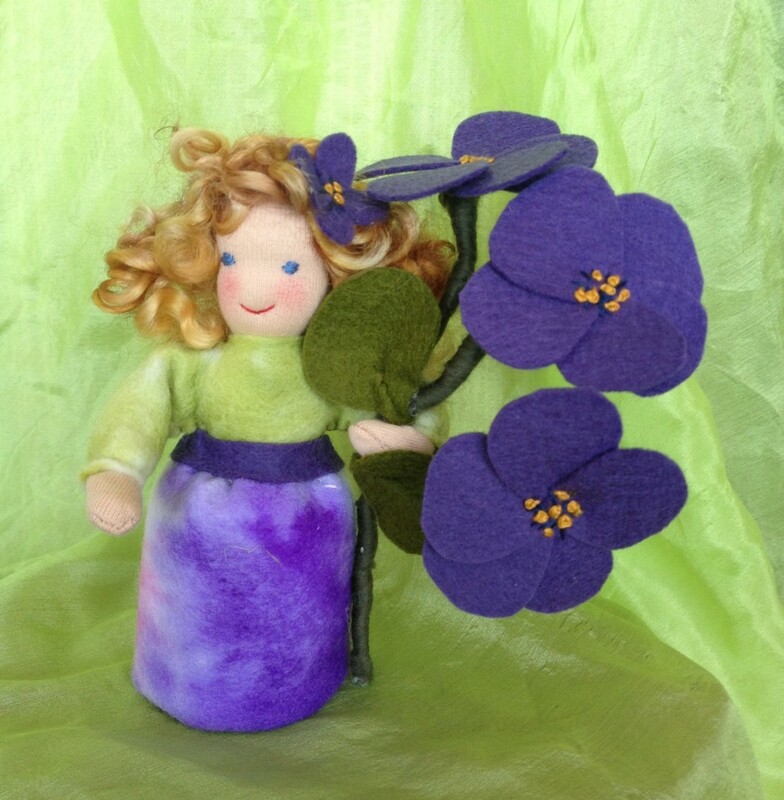 These are Waldorf-inspired spring flower mini dolls. 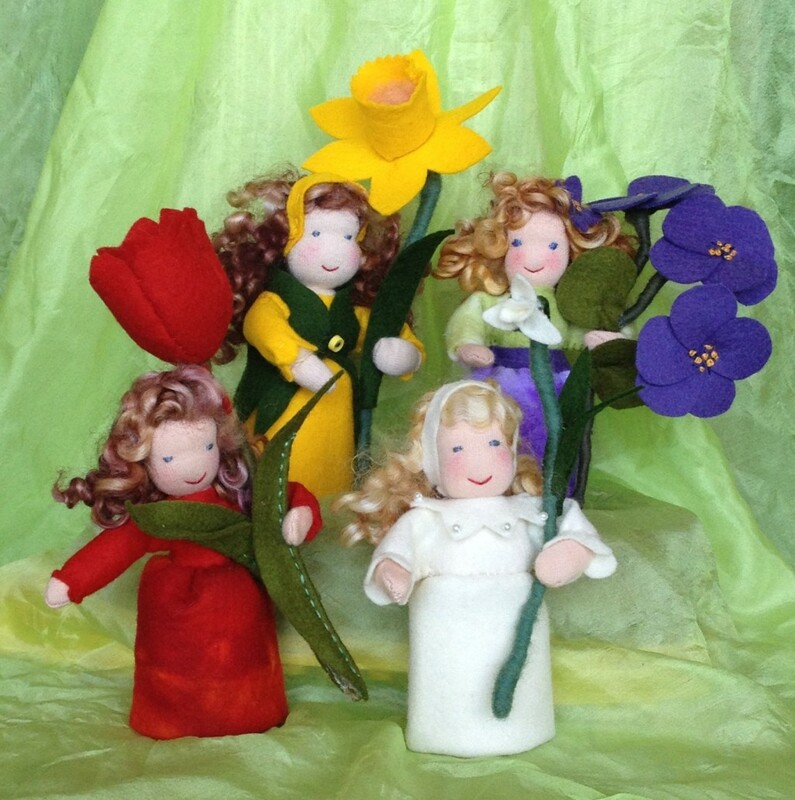 They are about 6″ high. 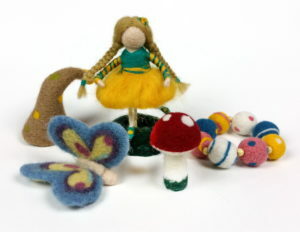 It’s a good decoration for a nature table.